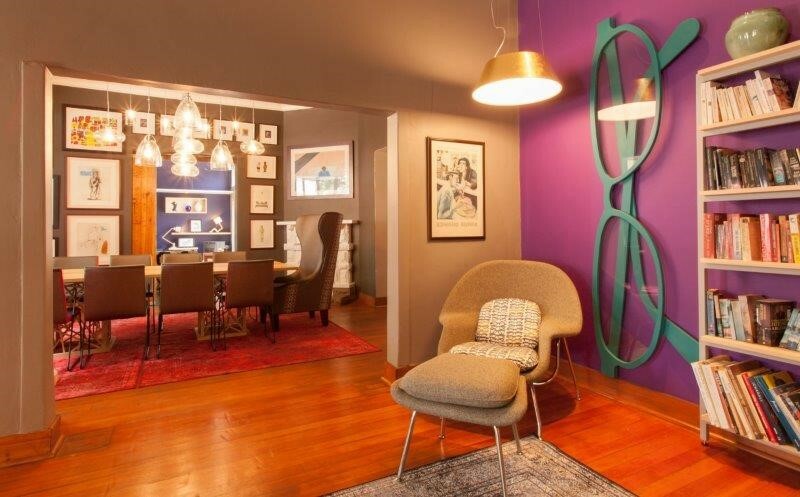 Owner of Westville-based Redesign Interiors and recently appointed CEO of the African Institute of Interior Design (IID), Paige Waplington is now set to bring some bold colours to this year’s Designer Spotlight feature at Decorex Durban, taking place at the Durban Exhibition Centre from 21 to 25 March. Paige took a moment out of her increasingly busy schedule to chat about her work, her inspiration and her love for Decorex SA. How did you get started in the world of interior design? I studied Interior Design at Durban University of Technology and received my degree in 2010. Once I’d finished studying, I started my own business – Redesign Interiors. I just couldn’t wait to put my stamp on the design world! Who makes up Redesign Interiors? We are a team of eight which includes designers (of course! ), project managers, procurements’ managers and admin heroes! 2018 is going to be an awesome year for us! We cannot wait. What are some notable career moments? We at Redesign Interiors have been so lucky to have created some amazing designs for our fun clients. One of our designs received the Best Private Residence in Africa award from the Dubai-based International Property Awards. A few have been featured in magazines including ‘Home Owner’ and ‘Garden and Home’. We have also received ‘Awards of Excellence’ for our various stands at Decorex. What are your duties as CEO of IID? It is my job to advance the IID and keep my finger on the pulse in the design world. It is my mission to get designers in our country collaborating and discussing ideas with each other thereby increasing design in South Africa and creating space for the design community to thrive. It is going to be an exciting year for the IID and designers! Having a professional organization like the IID provides designers and industry leaders with a platform on which to explore design. Visitors to Decorex Durban will also be able to visit the IID stand this year to learn more! We recently designed a hotel in Rwanda which is being completed this year. Very exciting! For 2018 we have some fun new spaces to look forward to – restaurants, shopping centres, fun corporate spaces and residential homes. What is your past Decorex experience? We have featured at Decorex Durban for the past four years and I feel that last year was our most successful show. We maximised our stand use and made some great contacts and clients at the show. Our brand has subsequently become a more recognised household name which is very exciting! We love Decorex. It gives us a chance to have fun with design and spend time with all the other creatives in Durbs! For Decorex Durban 2018 what space will you feature and why? We are not doing a room in particular but rather a space filled with roomy things – reminiscent of a hotel room. We want to design some eclectic pieces and put them together in an interesting way. If you want to find out more, you will have to come check it out at the show! What are your preferred 2018 trends? I am so thrilled to see bright colours coming through in the new trends. Colour is so versatile and creates such amazing spaces if used right. We can even create an elegant sophisticated room while using psychedelic colours. I am excited to see what avenues it opens for us as our clients become less afraid of colour. I am also seeing a trend for designs to be more unique and interesting. People don’t want to have the same thing you can buy in shops – they want something that tells a story about them and this is definitely something that will be portrayed at our stand. I feel like 2018 trends are talking directly to me. Which of these trends can visitors expect to see in your feature? Definitely colour! Bright bold and beautiful! And unique pieces, done in unique ways. I cannot wait to show you all! How will you bring the Decorex #rhythmoflife theme into your feature? Our stand is going to incorporate a rhythm of design… but I can’t say more than that! 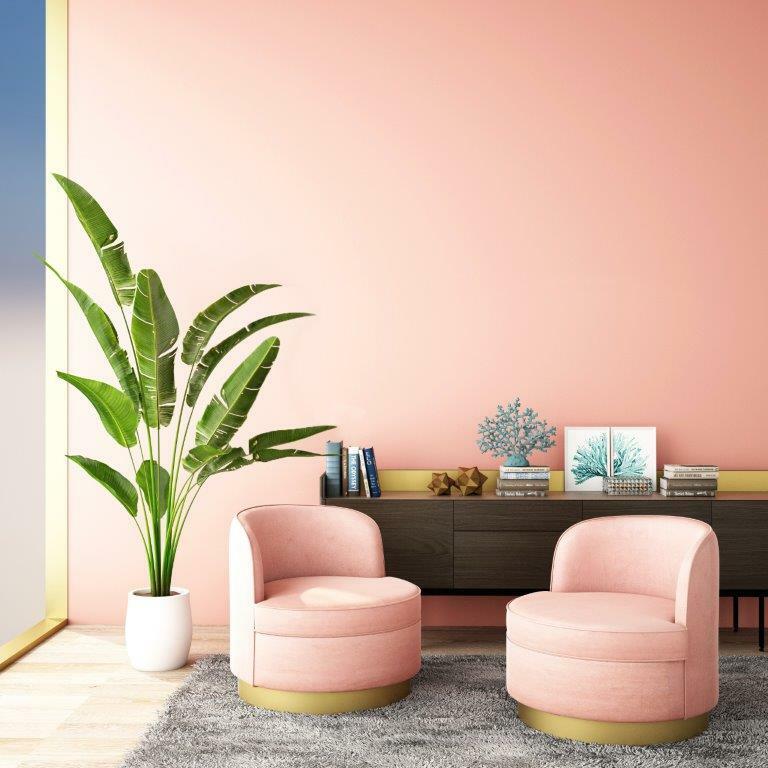 Get to this year’s Decorex Durban, sponsored by Kansai Plascon, to meet Paige and the Redesign Interiors team and view the vibrantly inspirational Designer Spotlight feature they’ve created. Don’t miss out on this or any of the other exciting décor, design and lifestyle features on offer. The Doritos ‘Battle of the Bold’ A vs B campaign came to an epic finale. It all started mysteriously, grabbing consumers attention as Doritos launched two new flavours “Tomato Sizzler” and “Jalapeño Poppers” in a really engaging and creative way. At first glance it didn’t seem all that unusual. Brands launch new flavours all the time, right? Wrong! Standing out on shelf with two competing new flavours, SA consumers were invited to choose either the silver pack marked “A” or the gold pack marked “B”. In an unheard of ‘bold twist’ only one of the flavours A: “Tomato Sizzler” or B: “Jalapeño Poppers” would remain on shelf after the competition closed. Doritos fans were invited to ‘Defend their Flavour’ in a “Battle of the Bold” Social media competition. Fans could complete a variety of challenges each with allocated points. The ‘boldest fan’ could win R20,000. 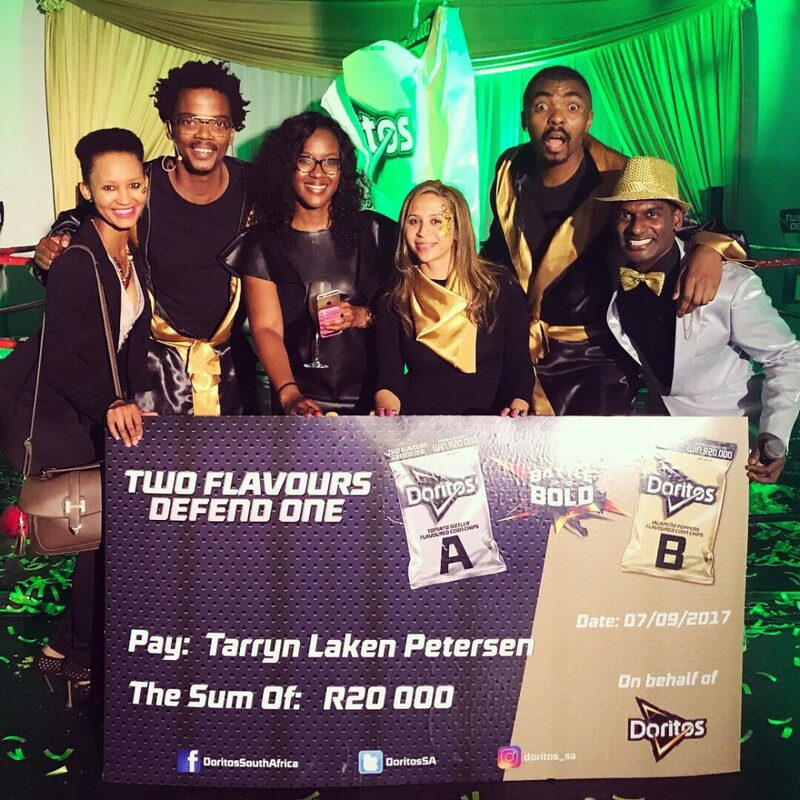 Fans went all out to win points and defend their flavour. Some composed songs, some designed and made Doritos outfits, hosted house parties and some fans even got a Doritos Tattoo. The level of engagement from the Doritos audience on social media was unprecedented with Doritos fans even inventing their own Bold Challenges, bungee jumping in Soweto, creating nail art, keyrings, necklaces and snowmen in allegiance to their favourite flavour! The venue for the big reveal in this trend setting campaign was a dark and edgily glamorous boxing gym in Sandton, a suitably gladiatorial setting for the final showdown. Doritos Nacho’s, crumbed sushi and Jalapeño Popper flavoured gourmet Ice Cream was served on arrival, further showing the versatility of Doritos as a tasty corn snack. After a build up that saw Doritos Brand Manager Wesley Chetty boldly MC’ing the event and a dance battle between members of World Cup 2010 finale dance crew “Soweto’s Finest” it was up to the Gola Brothers who featured in the A vs B television commercial to step into the ring and battle it out for their ‘team’. The battle culminated with the two brothers dressed as boxers, showing their boxing moves on a giant Doritos pack “piñata”. Only one side of the piñata opened to reveal the winning flavour. And it was “B” that won with a new Doritos flavour “Poppin’ Jalapeño” emerging resplendent in its bright packaging. To top off a great event, surprised but delighted prize winner Tarryn Laken Petersen who had been flown up from Cape Town for the event, left R20,000 richer thanks to her bold moves throughout this exciting campaign.